Sony SmartWatch 3 (SWR50). I try it using my Sony Smartwatch 3, before dispatching any strap to make sure 100%fit. Black Galaxy. There are a lot of video illustrate how to do that search online (adjust silicone strap). Sony SmartWatch 3 (SWR50). I try it using my Sony Smartwatch 3, before dispatching any strap to make sure 100%fit. Black Silicone Strap (Large). 3D Printed Housing. The adapter made by HARD PLASTIC using best manufacturer of 3D Printers & best materials to create best possible adapter finish can the one get from a 3D printer. Sony SmartWatch 3 (SWR50). I try it using my Sony Smartwatch 3, before dispatching any strap to make sure 100% fit. 3D Printed Housing. Black Rubber Strap (LARGE). Sony Watch not included. When you want to remove the watch from strap, push out the lower part of the watch. Sony SmartWatch 3 (SWR50). I try it using my Sony Smartwatch 3, before dispatching any strap to make sure 100%fit. 3D Printed Housing. Grab Yourself a Real Bargain. The adapter made by HARD PLASTIC using best manufacturer of 3D Printers & best materials to create best possible adapter finish can the one get from a 3D printer. 3D Printed housing/adaptor for SONY SmartWatch 3 in Black - adaptor only the SmartWatch in the picture is NOT included in the sale. Unlike the original strap this adaptor does not have a separate side button. Sony SmartWatch 3 (SWR50). I try it using my Sony Smartwatch 3, before dispatching any strap to make sure 100%fit. 3D Printed Housing (adapter). Sony Watch not included. When you want to remove the watch from strap, push out the lower part. Material : Genuine Leather & Ruber. 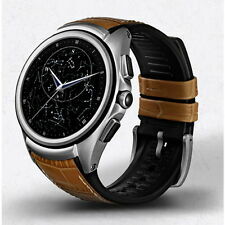 LG Urbane 2nd edition(w200) Genuine Band. Urbane 2nd edition(w200) smart watch NOT INCLUDED. Genuine Band Korean Edition. Sony SmartWatch 3 (SWR50). I try it using my Sony Smartwatch 3, before dispatching any strap to make sure 100%fit. Brown Calf Grain Genuine leather Strap (Large). 3D Printed Housing. Sony Watch not included. Sony SmartWatch 3 (SWR50). I try it using my Sony Smartwatch 3, before dispatching any strap to make sure 100%fit. 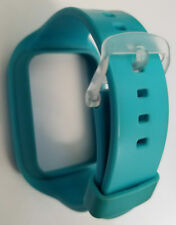 White Silicone Strap (Large). There are a lot of video illustrate how to do that search online (adjust silicone strap). Sony SmartWatch 3 (SWR50). I try it using my Sony Smartwatch 3, before dispatching any strap to make sure 100%fit. 3D Printed Housing (Adapter). Smooth Surface (very much looks like the original Sony adapter). 40mm Loop Band. Woven nylon. Sony SmartWatch 3 (SWR50). I try it using my Sony Smartwatch 3, before dispatching any strap to make sure 100%fit. 3D Printed Housing. The adapter made by HARD PLASTIC using best manufacturer of 3D Printers & best materials to create best possible adapter finish can the one get from a 3D printer. JFits all series 38mm the new 40mm Apple Watches. Apple Watch Sport Band unboxed unused Buy from a trusted eBay Seller Made from a custom high-performance fluoroelastomer, the Sport Band is durable and strong, yet surprisingly soft. The smooth, dense material drapes elegantly across your wrist and feels comfortable next to your skin. An innovative pin-and-tuck closure ensures a clean fit. Like all Apple Watch straps, you can match this strap with any Apple Watch case of the same size. Verwendungsmöglichkeiten: für Sammlung, für Werbung, für Dekorationen, Requisite, als Spielzeug für Kinder usw. ZUSTAND: NEU. Non-Working Dummy. LG Watch Sports (W280 W281) Genuine Band / Gray Color. LG Watch Sports (w281) smart watch NOT INCLUDED. Band guard : Made by 3dprinter (Band guard color : random). Only Band protective guard International Edition Band Repair tool. Fits 38mm Series 3 and 40mm Series 4 Smart Watches. Sony SmartWatch 3 (SWR50). I try it using my Sony Smartwatch 3, before dispatching any strap to make sure 100%fit. White silicone Strap (Large). 3D Printed Housing. Sony Watch not included. When you want to remove the watch from strap, push out the lower part. Fits all series 42mm the new 44mm Apple Watches. Will not fit any 38mm or 40mm watches Fits wrists 140mm to 210mm Apple Watch Sport Band boxed new comes with the small medium size strap and also the longer medium large size strap This comes from the 2015 range Buy from a trusted eBay Seller Made from a custom high-performance fluoroelastomer, the Sport Band is durable and strong, yet surprisingly soft. The smooth, dense material drapes elegantly across your wrist and feels comfortable next to your skin. An innovative pin-and-tuck closure ensures a clean fit. Like all Apple Watch straps, you can match this strap with any Apple Watch case of the same size. Wir führen eine riesige Auswahl an verschiedensten Armbändern für die Apple Watch! sehr atmungsaktiv aufgrund der Lochung. passend für alle Apple Watch Modelle mit 42mm / 44mm – auch für die neue Apple Watch Series 4 (44mm Version). Compatible with Apple Watch 40mm. The 40mm band works with the 38mm case; the 44mm band works with the 42mm case. Hook-and-loop fastener. It also works with all previous versions of Apple Watch, including Apple Watch Series 3. Pre-owned but in perfect condition. New unused comes in sleeve only without outer packaging Fits all series 38mm the new 40mm Apple Watches. Apple Watch Sport Band Buy from a trusted eBay Seller Made from a custom high-performance fluoroelastomer, the Sport Band is durable and strong, yet surprisingly soft. The smooth, dense material drapes elegantly across your wrist and feels comfortable next to your skin. An innovative pin-and-tuck closure ensures a clean fit. Like all Apple Watch straps, you can match this strap with any Apple Watch case of the same size. 1x Stainless steel Milanese watch band with adapters( Watch is Not included). These watch bands are suitable for Apple Watch, Watch Sport and Watch Edition Series 1 2 3 4 42/44MM ONLY. Material: 316L Stainless steel. Sony SmartWatch 3 (SWR50). I try it using my Sony Smartwatch 3, before dispatching any strap to make sure 100%fit. Black Calf Grain Leather Strap (Large). 3D Printed Housing. Sony Watch not included. Fits all series 38mm the new 40mm Apple Watches. Will not fit any 42mm or 44mm watches. The smooth, dense material drapes elegantly across your wrist and feels comfortable next to your skin. 40MM sport loop Apple Watch band. Keep your smart watch secure with this S3 Samsung silicon band. The durable construction makes this strap ideal for wearing during sports and fitness activities. Designed for Samsung Gear S3 Frontier/Classic. Fits 38mm Series 3 and 40mm Series 4 Apple Watches. 3D Printed housing/adaptor for SONY SmartWatch 3. Genuine Apple Sport Loop Olive 42mm / 44mm. the loop is used I’ve washed it however there it has changed colour slightly where it was fitted to wrist however this doesn’t show as it’s under the strap Condition is Used. Dispatched with Royal Mail 1st Class. Sony SmartWatch 3 (SWR50). I try it using my Sony Smartwatch 3, before dispatching any strap to make sure 100%fit. Black Nylon and Leather Strap (Large). 3D Printed Housing. Sony Watch not included. When you want to remove the watch from strap, push out the lower part. One size in excellent condition, barely used Made for the 38mm Watch face Fits 130–180mm wrists. You can match this band with any Apple Watch Series 2 case that is 38mm. It also works with all previous versions of Apple Watch, including Apple Watch Series 3. The 40mm band works with the 38mm case; the 44mm band works with the 42mm case. apple watch bands 38mm rose gold Blue Silicone. Condition is Used. Shipped with USPS Priority Mail. The 40mm band works with the 38mm case; the 44mm band works with the 42mm case. Compatible with Apple Watch 40mm. The 40mm band fits 130-200mm wrists. It also works with all previous versions of Apple Watch, including Apple Watch Series 3. Unused unboxed Fits all series 38mm Apple Watches and will fit the new 40mm Will not fit any 42mm or 44mm watches From the 2016 range Every Woven Nylon strap is made from more than 500 threads woven together in a unique, colourful pattern. Monofilaments connect four layers of the weave to create a single durable strap with a comfortable, fabric-like feel. Like all Apple Watch straps, you can match this strap with any Apple Watch case of the same size. Apple Nike Sport Band for Apple Watch 40mm (Black/Hyper Grape) 100% Authentic!